Last night I had the pleasure of photographing these two absolutely adorable sweeties. Older sister A, was shy at first, but once she came out of her shell, she was all smiles and hamming it up. And Miss K was just too cute and trying to imitate her sister and chase her around. They had so much fun running around the garden that we were at and playing in the fountain there. We even managed to sneak in a few family shots.! Thanks for a very fun evening with your sweet girls. 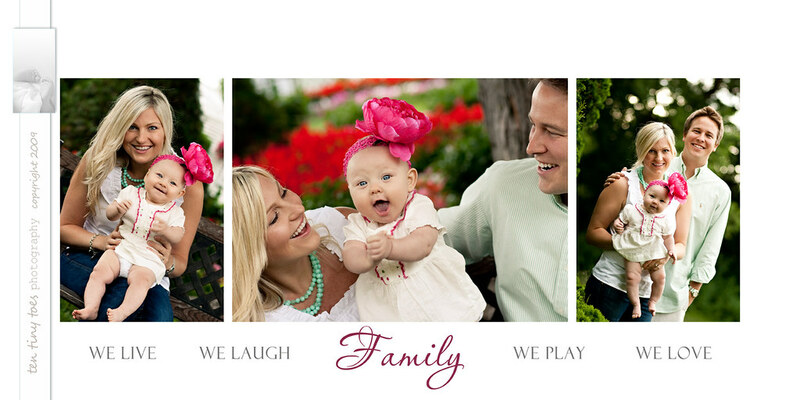 D family, I hope you enjoy your sneak peek! Part of your session with me includes the creation of a couple of sample Storyboards. 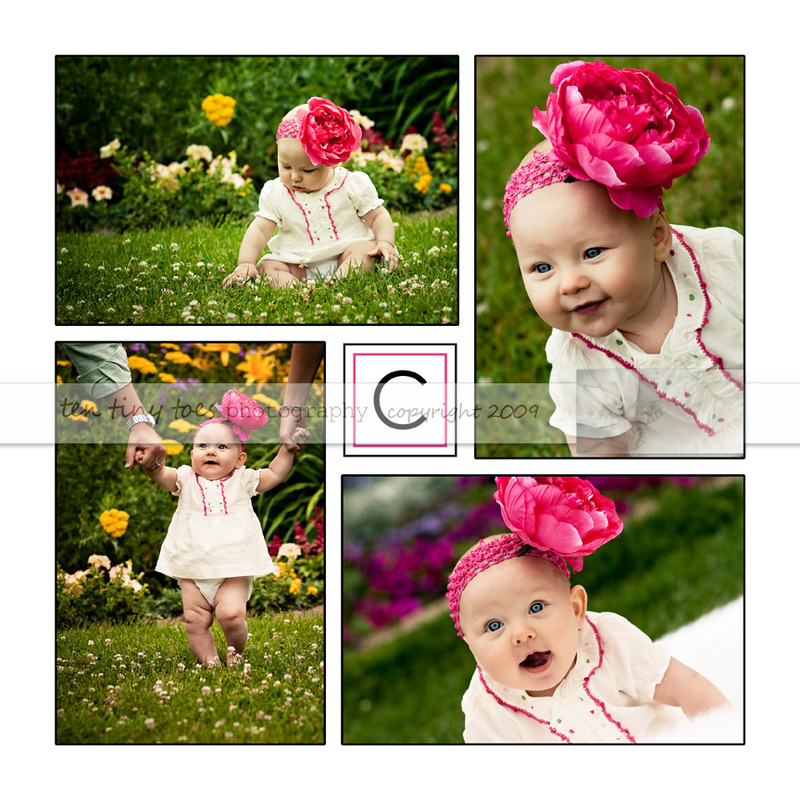 If you aren’t familiar with what Storyboards are, they are a really nice way to display in a larger format, some of your favorite photos from your session. There is also the ability to add in some text whether it be a favorite quote, a name, age, date, etc. It’s completely up to you! Here are a few samples of 2 I put together for the L family. There really are an endless amount of variations you can do with Storyboards. They are one of my personal favorite ways to display photographs in my own home. This particular one is in a size 10×20, this could also be done vertically. Hello everyone! I just wanted to note that the old Contact form I had embedded in the Contact Me page was not working for some time and unfortunately I didn’t realize it! So, if you tried to get in touch with me about scheduling and have not yet heard back from me, please let me know by emailing me at amy@tentinytoesphoto.com. I don’t want you to think I was ignoring you! I just didn’t receive what was submitted through the form. I have since embedded a new form that is now working, so feel free to use it going forward, or you can always email me as well. Last evening I got to photograph these two very busy boys. They kept me on my toes, but I had fun chasing them around and trying to capture a few smiles. It was so nice meeting you guys, and if you find a way to bottle up that energy somehow, let me know because I could sure use some! G family, here’s your sneak peek, I hope you enjoy it! And this one is especially for Mom. I have finally finished going through the hundreds of shots from Sam’s senior portrait session. I’m just so excited about how these all turned out! Here are a few more of my favorites that I just had to share. Thanks for all of the great comments on this session, it really means a lot to hear such great feedback! This building was such an awesome location, I’ll definitely be bringing other clients there!